Controls are WASD for the left player and arrow keys for the right player. Moving on the vertical axis will move your leg up and down. 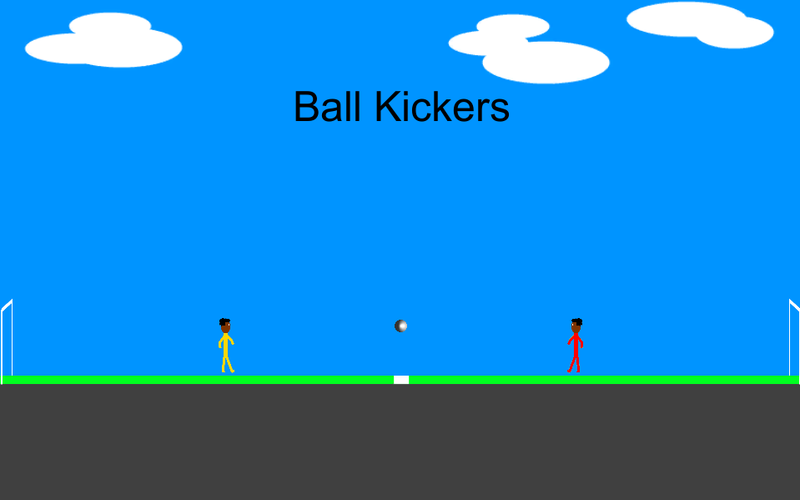 Try to kick the ball over the other player and into their goal!